Click to see the cartoon at The Washington Post. This was written by admin. Posted on Friday, October 6, 2017, at 3:35 pm. 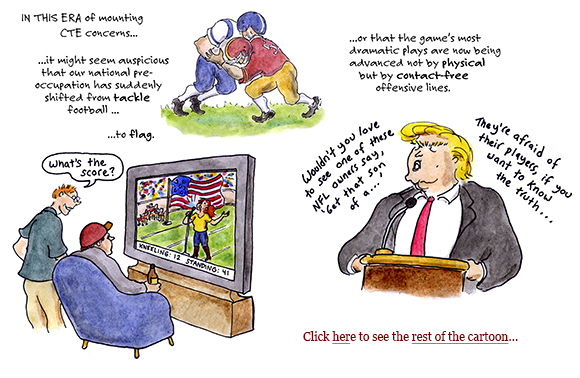 Filed under cartoon, football, Illustration, nfl, sports, Trump, Washington Post. Bookmark the permalink. Follow comments here with the RSS feed. Both comments and trackbacks are currently closed.